Plot: A car accident leaves a woman amnesic, but she teams up with a young, eager Hollywood hopeful in search of clues that lead them both deeper into a world that is part dream and part reality. Mulholland Drive is a sordid and mind-bending mystery tale that works well because of the mood and atmosphere Lynch creates. I could have done without some of the psychosexual content, but a lot of the film's weirdest moments worked best for me. "When you see the girl in the picture that was shown to you earlier today, you will say, "this is the girl". The rest of the cast can stay, that's up to you. But the choice for that lead girl is NOT up to you. Now... you will see me one more time, if you do good. You will see me... two more times, if you do bad. Good night." 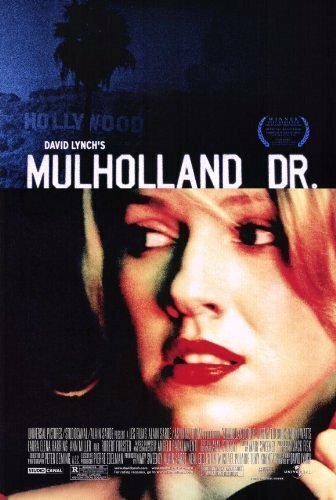 Back in early 2015, I watched "Mulholland Drive" and my first reaction were mostly positive. I didn't know what to think of it, but I was so in awe with the film that I couldn't stop thinking about it. The reason for not reviewing it back then is because I just wasn't ready to talk about it. This massive delay cause me to forget about it, as at the time, I had a lot of things on my mind. No posts have been made on this movie yet. Be the first to start talking about Mulholland Drive!